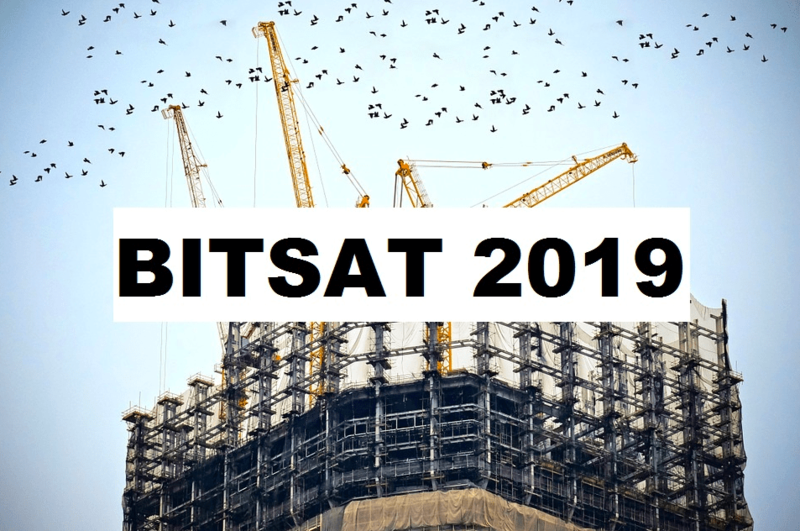 BITSAT 2019 to be Held from May 16; Know the Exam Details: BITSAT 2019 exam dates have been released. The exam is to be conducted on May 16. The exam is conducted to provide admission at BITs Pilani Campuses in Pilani, Goa, and Hyderabad for integrated first-degree programs. Candidates preparing for BITSAT must have started their preparations. BITSAT is an online computer-based entrance exam. Thus, students have to be very careful about their preparations. It is crucial to check the eligibility criteria of the BITSAT 2019 exam and then fill the application form. So here are the complete details regarding the BITS 2019 Admission Test. So, sit back, relax and get the complete overview here. Why Appear for BITSAT 2019 Examination? The scores obtained in BITSAT helps as an entry ticket for admission in the best institutes and universities in India. Toppers in state board are offered with direct admission to the universities. The BITs campuses, infrastructure, and ambiance are excellent with the best salary and placement offered in the market. As per the course combination, BITs allows the candidates to choose their preference. The BITSAT Exam consists of 4 sections i.e. Physics, Chemistry, Logical Reasoning and English Proficiency, and Mathematics/Biology. Physics – consist topics such as Units & Measurement, Newton’s Law of Motion, Kinematics, Work & Energy, Rotational Motions, Impulse and Momentum, Mechanics of Solids and Fluids, Waves, Oscillations, Gravitation, Heat and Thermodynamics, Electrostatics, etc. Chemistry – consist topics including Chemical Bonding & Molecular Structure, Atomic Structure, States of Matter, Physical and Chemical Equilibria, Chemical Kinematics, Electrochemistry, Thermodynamics, Surface Chemistry, Hydrogen, and s-block elements, etc. English Proficiency and Logical Reasoning – includes topics such as Grammar, Vocabulary, Reading Comprehension, Verbal Reasoning, Non-verbal Reasoning, Composition, Classifying Words, Following Directions, Detecting Missing Links, etc. Mathematics – includes topics such as Algebra, Probability, Differential calculus, Trigonometry, 2-dimensional and 3-dimensional coordinate Geometry, Integral Calculus, Ordinary Differential Equations, Statistics, Mathematical modeling, Vectors, and Linear Programming. Biology – consist topics such as Biotechnology and its applications, Biology and Human Welfare, Diversity in Living World, Structure and Functions – Animals and Plants, Genetics and Evolution, Cell – The Unit of Life, Growth and Movements in Plants, Ecology and Environment, Reproduction and Development in Humans. Candidate should have appeared and passed class 12th with main subjects as Physics, Chemistry, and Mathematics. Candidate should score minimum 75% aggregate marks in Physics, Chemistry, and Mathematics. Candidate should have appeared and passed class 12th with main subjects as Physics, Chemistry, and Biology. Candidate should score minimum 75% aggregate marks in Physics, Chemistry, and Biology subjects. Step 1 – Fill the application form with the personal and academic details. A unique Application number will be generated. Step 2 – Upload the scanned images of Signature and Photograph. Make sure to adhere to the size as mentioned in the website. Step 3 – After filling the application form, make the payment through online mode i.e. by Credit/Debit Card or by net banking mode. Candidate can book the slot which is based on first come first serve basis. Post booking of the slot, admit card will be issued for the candidate. The Admit Card can be downloaded from the official Website of the institute. The Admit Card contains the details such as Name of the candidate, application number, Photograph and Signature, Test date and time, test slot, and other examination instructions. Candidate needs to mandatorily carry the admit card on the day of the exam.